This is an article from 1974 written by American literary, television, film, and cultural critic John Leonard. It is scathing and delightful. Every sentence is electric, every line more damning than the next. I’m not too proud to tell you that I randomly found this on a very breezy weekend night where I was googling things while having a bit of a nightcap and I read it three times back to back and laughed out loud assuming the drink was to blame for my mirth. How delighted I was to wake the next morning and still find this article absolutely side splitting as it is provocative. Editors don’t read books; they read other magazines. If cultural criticism was our racket, we developed 800‐word minds. It was as though someone had handed us submachine gun and said go mow down anything that moves. In a world where I find myself increasingly reading the same hot take about a movie or a book over and over again without any actual critical analysis or in a world plagued by CinemaSins-esque movie “criticism” it’s actually comforting to know that it’s all a cycle on a big wheel. Ever turning. Ever changing. Check back next month for another take though. 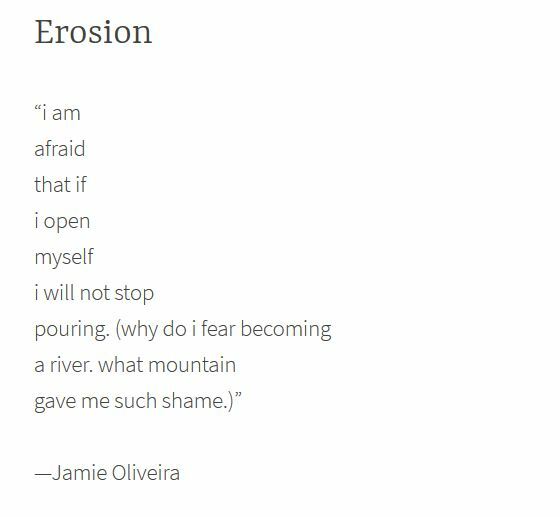 I just like this poem and I don’t have much else to say about that (sorry). I’m pretty sure I’ve linked to Folding Ideas before but also I really love Folding Ideas and just stop bothering me okay?! This video is a strange journey about a channel I knew about vaguely but didn’t really know anything about. VSauce is mostly a YouTube channel that has 14 million subscribers and YouTube is convinced I’d just LOVE (I don’t). But more than that this video is about the nature of what being something is. About how you don’t start as the thing you end up as but you still are that thing. It’s a little bit Ship of Theseus in its delivery and a little bit meta narrative for digital identity where there is always a record (and sometimes a long and damning one) but that doesn’t mean you’re the same person with the same ideas as when you posted things 1, 5, 10 years ago. This video is probably as impossible to describe as it is to try and describe any one human down to fine detail so I will spare you too much shame on my part in trying to list all of its many wonderful features but it’s worth 10 minutes of your time and is a really interesting look at one of the more popular YouTube channels – for better or worse. This hits right in the everything. I know people don’t think about FiveThirtyEight except during the “election cycle” in America but actually they publish some very interesting analysis and depth content too and you should check it out more often if you’re keen to understand the underlying reasons for all the shiny data you see. Remember that quantitative data is not the only data needed! Anyway, this particular article is important because it catalogs some of the underlying features and differences that drive voting in America in a way that doesn’t just look at the city / rural divide. And it does so a little close to home. Well, not for me specifically, but for my husband who grew up in Shaker Heights, Ohio. I really want you to go read the article for yourself but I came away from this article with a lot of hope and a lot of sadness in equal measures. It drives home how class in America is unlike class in many other countries, a too nebulous and strange definition to draw political boxes around as it doesn’t simply equate to the earnings of any given household (the way that people will label themselves middle class regardless of their income). The article is also a staunch reminder that even in “progressive” spaces there are strong differences in treatment, in ethics, in placement, and if we want to do anything about evening those we have to continually act proactively. If you take nothing else from the article than maybe simply looking at your own community (which is likely segregated as most communities in the US are) and thinking critically on the question of “What does it mean to be politically allied with people you don’t live with?” is enough to get the ball rolling. I have a tinge of tinnitus and I find it really annoying, especially at night when it’s the most noticeable from a day of stress and work and this little white noise website is actually really helpful. I can’t write and listen to music (well I can but I just get a little unfocused when I do) so this does the trick and it helps block out things like the sound of my husbands monster computer or the noise of the cars outside, etc. This is probably good for studying and other tasks also and since you adjust all the bars to get just the noise you like it’s extremely customizable. 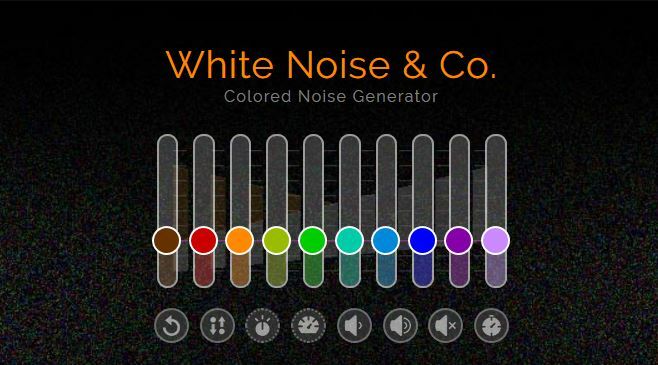 I mostly use the rain white noise generator to be honest but the vanilla flavor is good too!